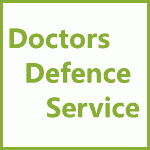 Tooth Whitening and Doctors | Doctors Defence Service – UK. A number of doctors have undergone training in tooth whitening, provided by commercial companies in the UK, and then gone on to provide tooth whitening services to members of the public, as part of a package of cosmetic treatments. Yet if a doctor is not registered with the General Dental Council (GDC), they will likely be acting illegally if they have undertaken tooth whitening procedures on members of the public. Advertising such services might also attract criticism and censure. The GMC also has the power to bring misconduct proceedings against doctors who break the law. It is not clear why commercial companies sell tooth whitening training and equipment to doctors who are legally unable to perform tooth whitening is a good question, and one wonders whether the industry is being open with its doctor clients about the legal position. In short the UK legal position is as follows: only practitioners registered with the GDC, such as dentists, dental therapists, dental hygienists and clinical dental technicians, working to the prescription of a dentist, can perform tooth whitening, because it is a reserved activity within the practice of dentistry. The case of GDC -v- Jamous  EWHC 1428 (Admin) sets out the opinion of the court that teeth whitening is indeed the practice of dentistry. The General Medical Council (GMC) can bring misconduct proceedings against doctors who practise illegal tooth whitening. A GMC registered doctor who is not also registered with the GDC is not able to undertake tooth whitening.